This week we bring you Roveena Gnanabakthan – a Toronto based vocal powerhouse that captures you instantly. She first grabbed attention with her riveting cover of Etta James classic “At Last.” That made her a YouTube star and led to a CITY TV appearance that has launched a musical career destined for greatness. She studied classical piano and composition as an undergraduate at The University of Waterloo, but chose to pursue a career in human resources. 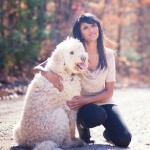 Her love of music never diminished, however, and she began posting YouTube videos of performances of cover songs. That led to a genuinely life-changing moment when Toronto’s CITY TV invited Roveena to perform on their Breakfast Show. She was quickly invited to sing the national anthems at Blue Jays and NFL games, and a placing in the Top 10 on the singing competition show TVI’s Superstar boosted her profile in the South Asian community, both in Canada and internationally. This week’s Talent Tuesday feature are the Zillas! The Zillas are a Toronto-based dance team combining the skills of city-wide, versatile dancers. They have created a dance cover to the popular Gaana song ‘Danga Maari’ from the film Anegan. 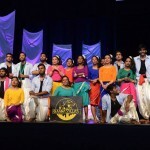 This dance group’s first debut was at CTYA’s Thaalam 2014 competition where they placed 2nd. 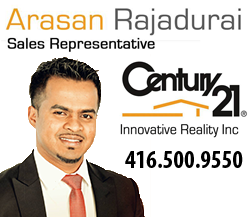 Thaalam 2015 will be taking place on July 4th at the Rose Theatre in Brampton so stay tuned! This Talent Tuesday, we present Flute Siva from Ottawa! Siva is a classically trained flute player who has been playing since the age of 7. 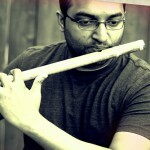 Currently, he is learning advanced Flute lessons and techniques from the Maestro Shashank Subramanyam (Grammy nominated Flute player from India) and vocal training (Indian Hindustani style) under Dr. Vinay Bhide (Professional Hindustani singer and performer – Professor at Carleton University, Ottawa, Canada). Today’s #TalentTuesday features Ramya Jegatheesan who is a freelance writer, editor, photographer and documentary filmmaker to name a few talents. Amongst her accomplishments are working on the award-winning film, The Creator’s Game: The Quest for Gold and the Fight for Nationhood, which premiered at the ImagiNative Film Festival in the fall of 2011, and won the Viewer’s Choice and Naish McHugh Emerging Filmmaker’s Award at the Toronto Urban Film Festival for Footprints in 2012. Her most recent documentary, The Playful City, screened at the 2013 COMMFFEST Community Film Festival (where it won an Honourable Mention) and at the 2013 Regent Park Film Festival. Today’s #TalentTuesday showcases Canadian Tamil talent Meshach Anujan Asokan, seen in the videos below, who performs complex and unique styles of dances – mastering genres like gaana, hiphop, reggae, etc. 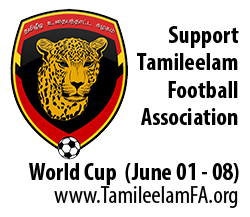 This production was created by Tamil youth, support and encourage their talents by providing them with your feedback!